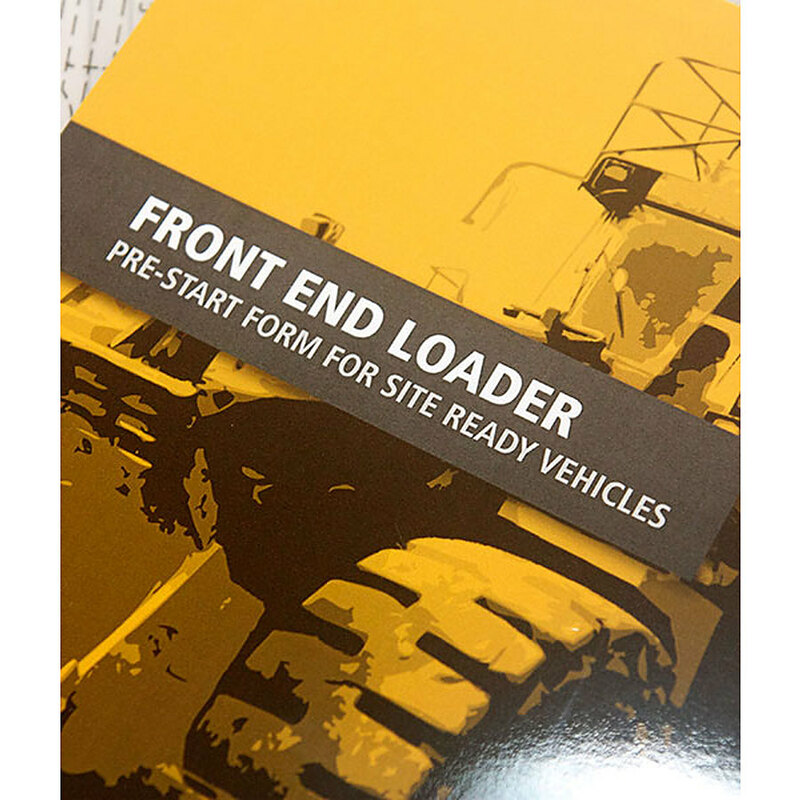 Our Front End Loader Pre Start Checklist books help you assess your equipment before use. 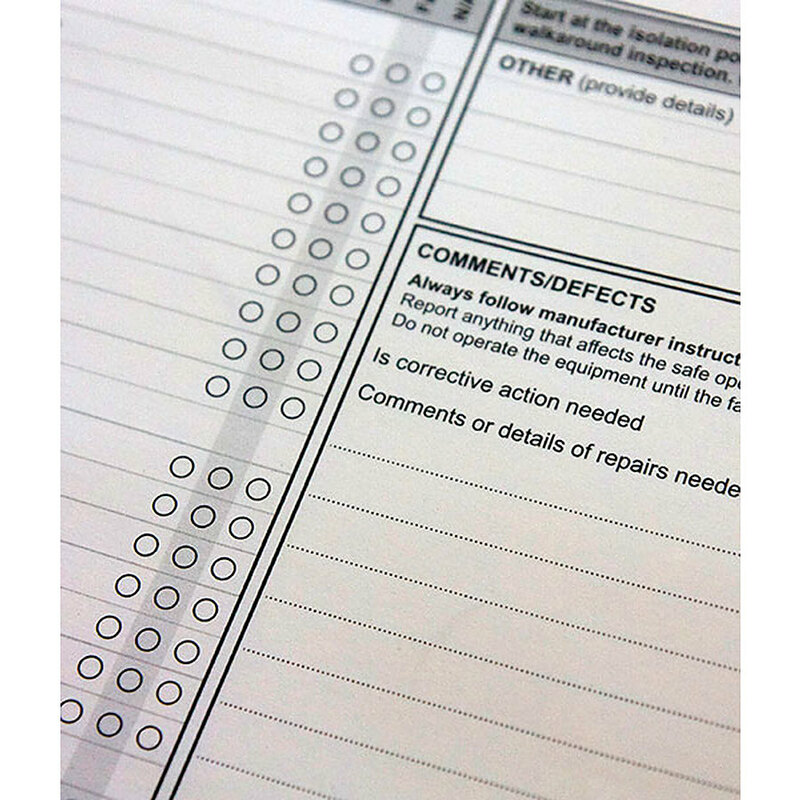 These checklists will help show potential hazards by exposing any damage or flaws by misuse, wear and tear or lack of servicing. For larger orders we offer full customisation e.g. 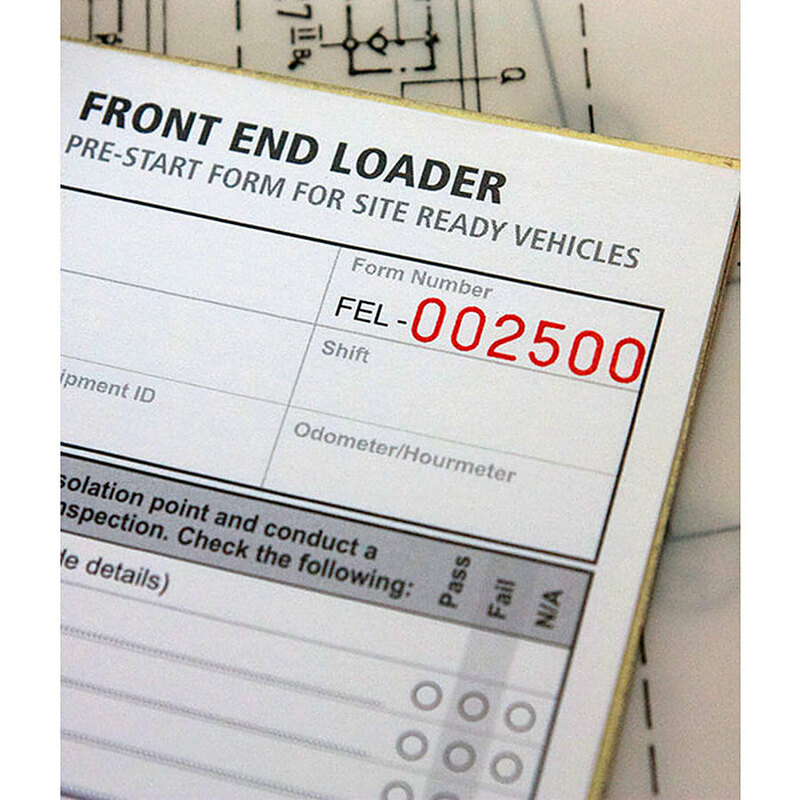 Add a logo, change colours or alter the checksheets. 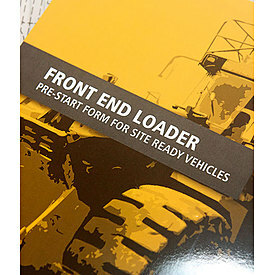 Call us for a price.